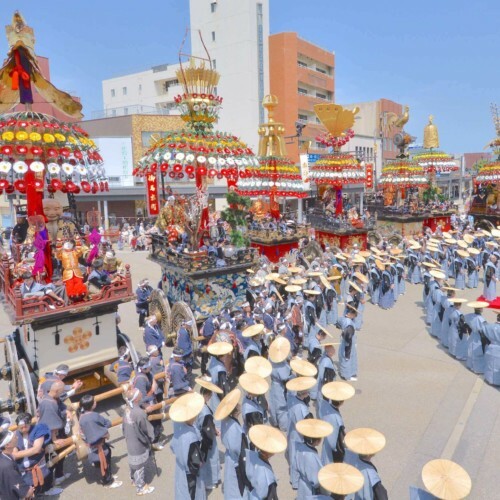 The Nihonmatsu no Chouchin Matsuri is designated as one of Fukushima Prefecture's important intangible folk cultural assets and boasts over 350 years of tradition as the Nihonmatsu Shrine's annual grand festival. What sets this festival apart from the rest is the 3,000 red chochin lanterns that cast a beautiful red glow on the surroundings. 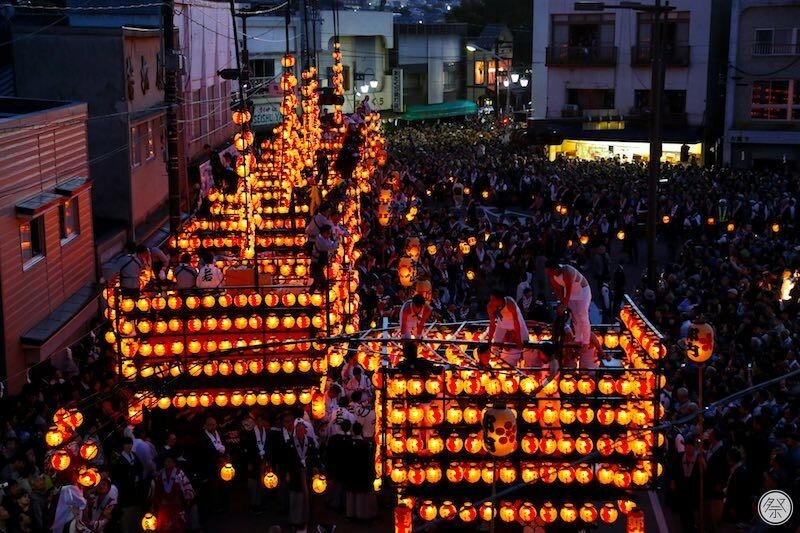 Over 300 lanterns decorate each of the massive floats called Taikodai that reach over 11m in height as they boldly parade through town to the sound of the accompanying hayashi music. 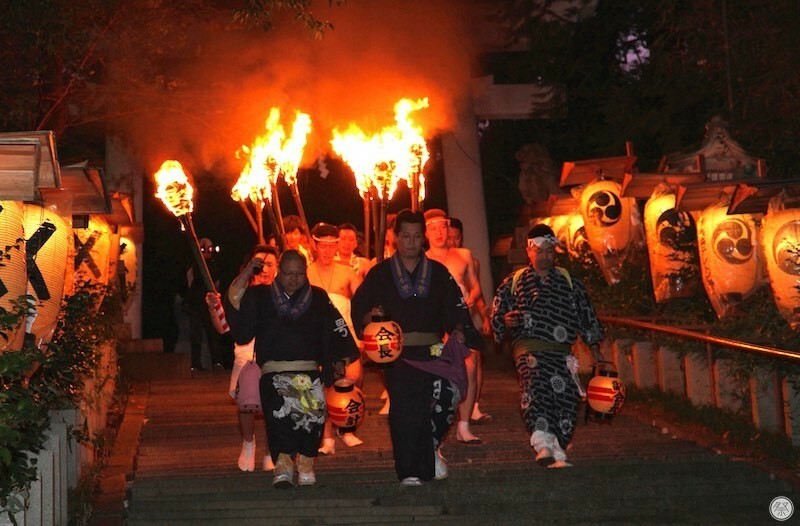 On the 4th, the eve of the main festival, Taikodai from the seven boroughs of Nihonmatsu City come together to simultaneously light their lanterns for a ritual that uses the local shrine's sacred flame called Goshinka. 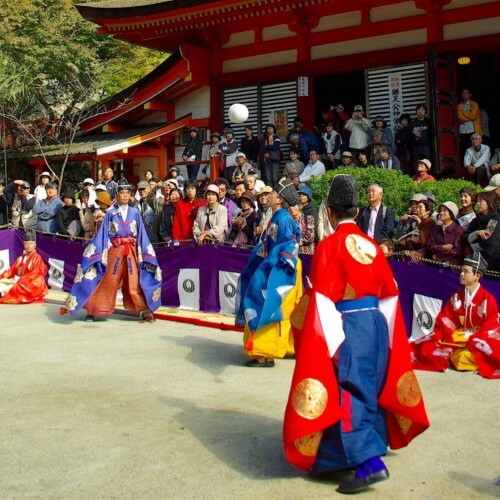 They say the festival began when the Nihonmatsu feudal lord of long ago, believing that "in order to govern well, one must first heighten their respect for the divine spirits of nature," made the local shrine a place that anyone could visit freely. The sight of people fixing their glance to the glowing lanterns above is sure to remind the onlooker of the praising of god. 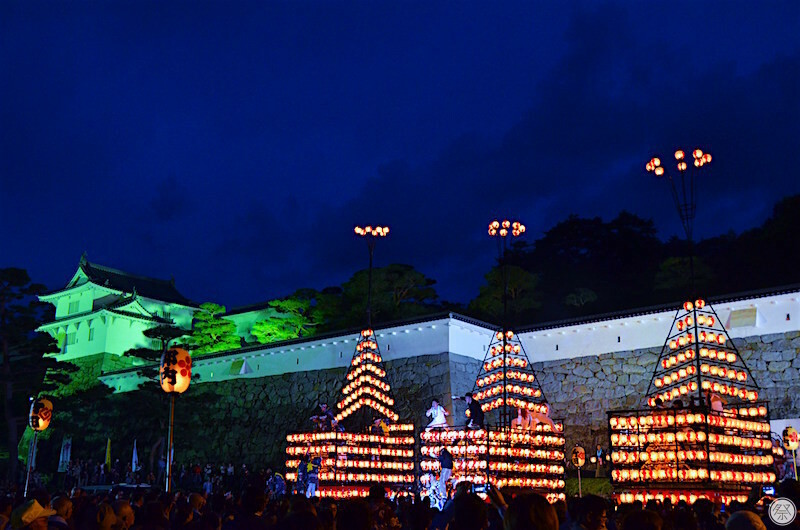 The highlight of the Eve (Yoi) Festival held on the 4th, is the departure ceremony of the Taikodai that begins around 5:00 in the evening. 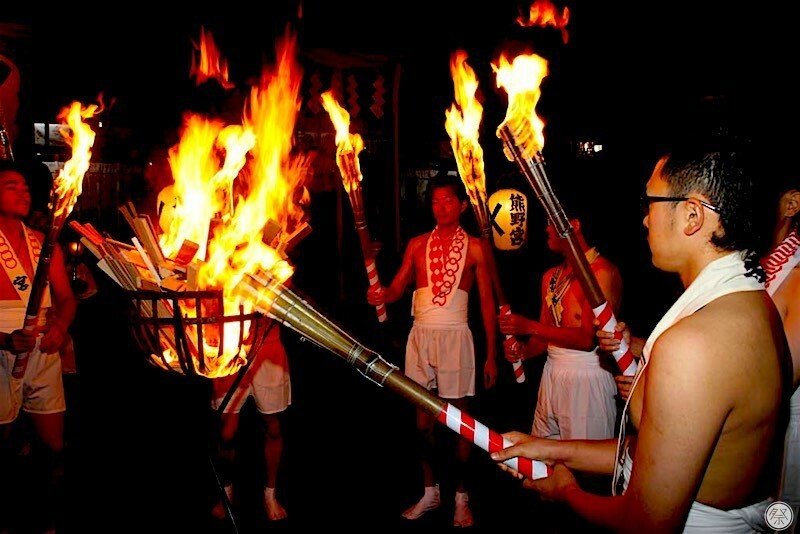 You must witness the Goshinkasai, or sacred flame ceremony, held at the Nihonmatsu Shrine as a part of the Eve Festival. There are no handles on the Taikodai floats. For this reason, all steering is done by man power. 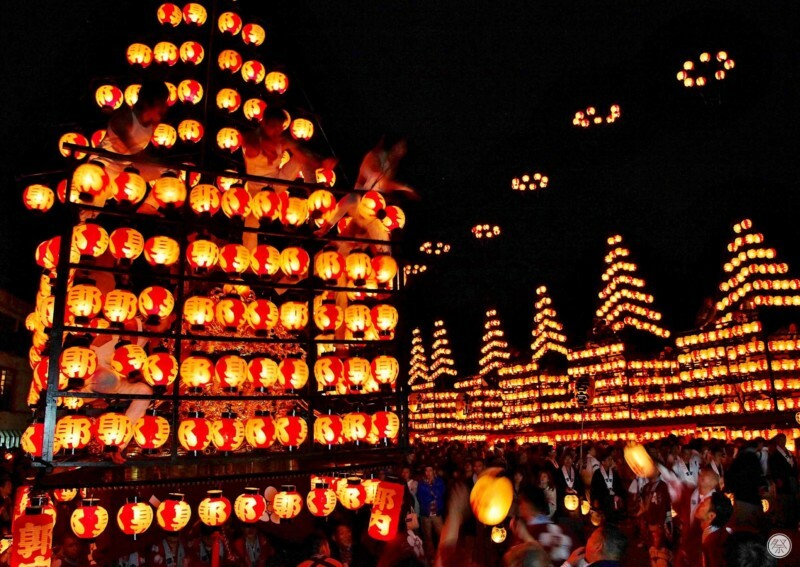 Moreover, each float can go through up to 1,500 candles in one night. 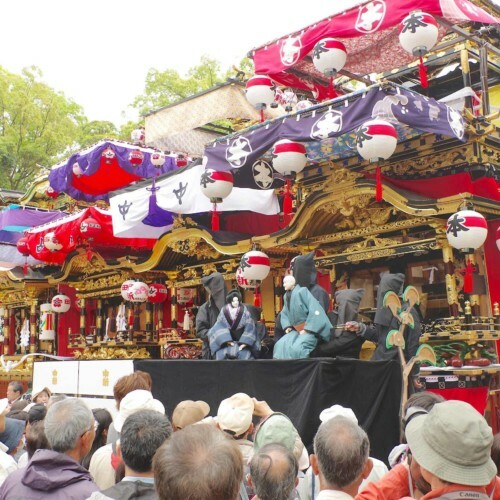 The men who control these amazing floats are known as Wakaren. Witness their impressive piloting skills and smooth candle changing techniques, and be amazed. 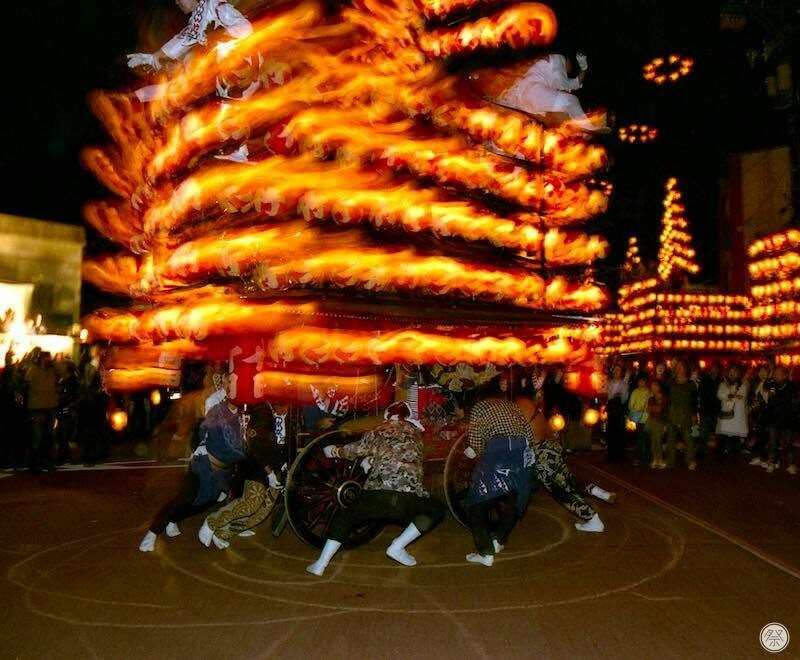 The festival music known as Hayashi includes taiko drums and bells. Each borough has a completely different Hayashi to offer. There are even a few different types within one borough. Notice how they change the music depending on the stretch of the parade course; becoming vigorous when climbing hills or changing directions, slow and relaxed when going down hills and light and festive when parading flat land. The ever-changing music adds a story to the festival and never loses the onlookers' attention. 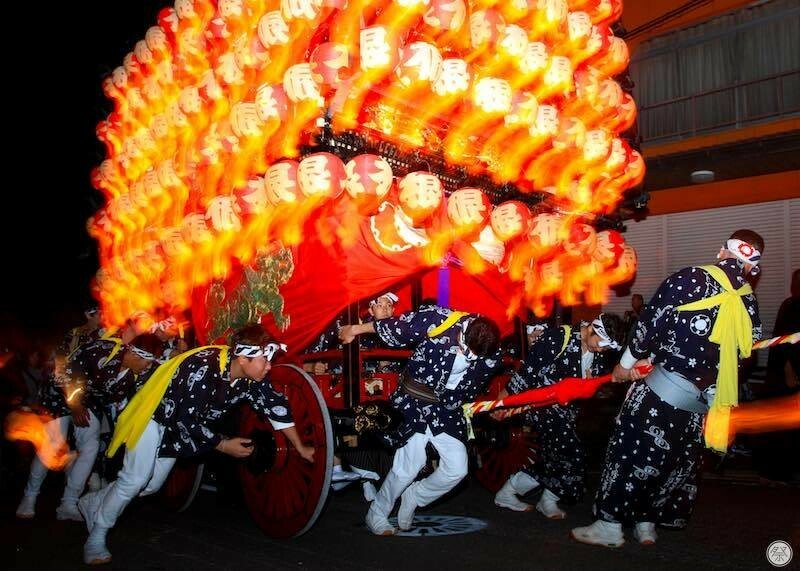 For the main festival held on the 5th, Taikodai from seven boroughs parade the town together. 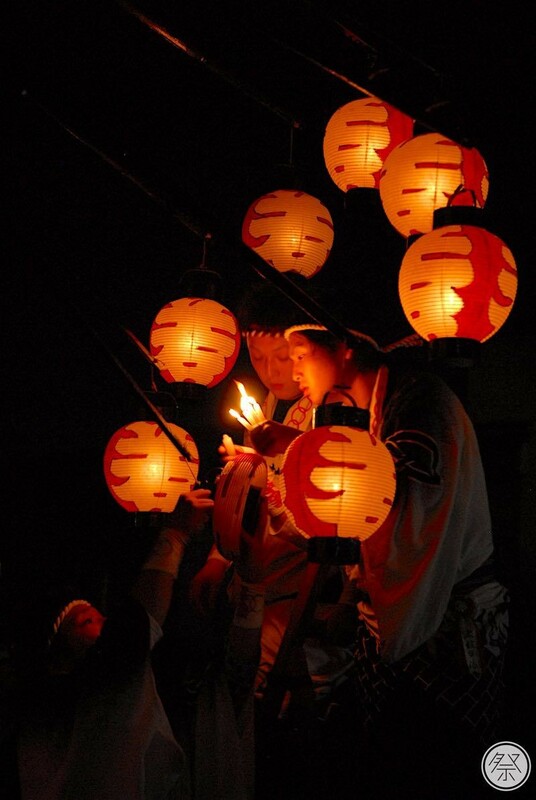 The mass of lanterns are removed from the floats to reveal the rare sight beneath, that can only be viewed during this time. Don't miss the gorgeous engravings layered in shining gold. On the "after" festival held on the 6th, the seven boroughs split up into teams of four and three to parade their floats. 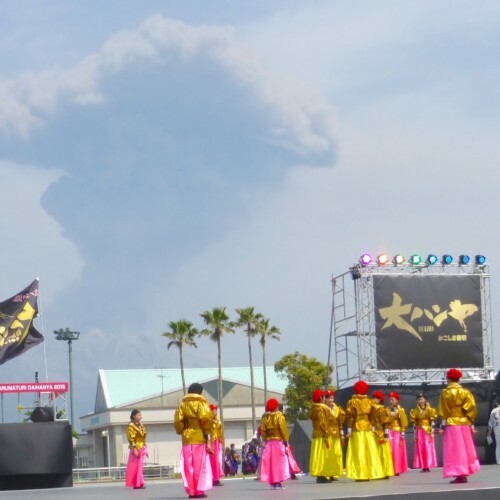 The side made up of three boroughs lines up their floats at the Kasumigajo Park (ruins of the Nihonmatsu Castle) for the departure ceremony and head for straight for the castle, making for a valuable site to see. 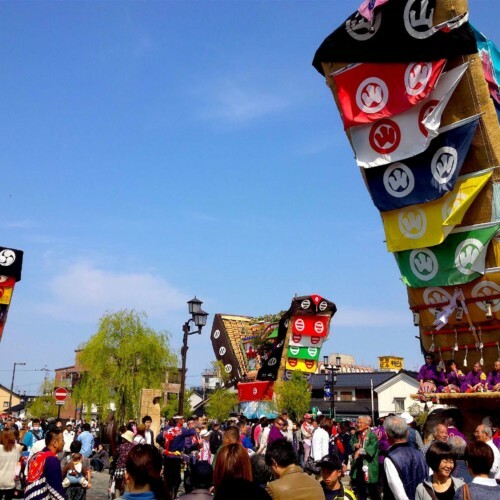 Though you may not be allowed to touch the floats directly, depending on the section of the festival parade, you will be able to participate in pulling the rope of the Taikodai. Listen carefully to the local guides and enjoy the festival even further. General Participation Directly touching the Taikodai (drum floats) is prohibited however you are able to participate in pulling the floats depending on the stretch of the parade. 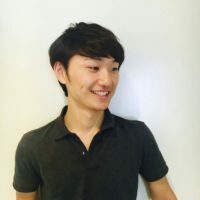 Wi-Fi Available at the Civil Interaction Center in front of the Nihonmatsu Station, and the Kasumigajo Park where the three borough parade holds their departure ceremony. Restrooms Several temporary toilets are available at different locations along the parade course. Directly touching the Taikodai floats is prohibited. Stepping over the rope used to pull the floats is prohibited. Please follow the directions of local staff, police officers and traffic guards. Born in Hyogo. My morning routing is reading MANAGA 30 min.